2/7/17, more of the same, but it has a new fancy cover?!? Apparently there's supposed to be a Kong/Son of Kong bluray release too. I have the Kong 33 Digibook and I'm gonna finally try to get the Special Effects Collection I've been putting off for far too long. Hmm looks like maybe the Kong/SoK two pack is not bluray after all? It looks like all of the blurays in this series are single-movie releases while all of the multi-film sets are DVDs. 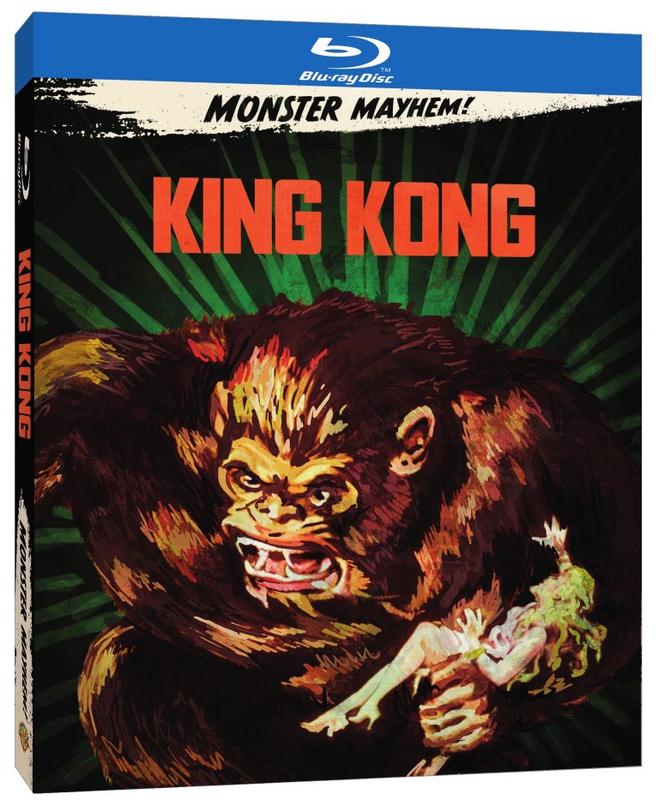 I'm bummed to not have purchased the Kong digibook when I could have, so I hope this new release doesn't lose any of the features. ^I imagine the disc will be exactly the same as before, and that goes for all the 'Monster Mayhem' releases. The digibook was neat, though... though in terms of packaging nothing beats the original DVD release of Kong '33: the tin, postcards, booklets... I typically part with my old DVDs once I've upgraded those movies to Blu, but I still keep that nifty release. Reaper G wrote: With Takarada's deleted scene? If you buy 12 copies of Godzilla '14 on Blu-Ray and cut out the proofs of purchases and send them to WB they will send you a copy of the deleted scene with the Takarada cameo on betamax cassette. There's a Monster Mayhem display at Best Buy, and the movies are quite cheap ($7.99 for most of the Blus), so if you don't own some of these movies then now's a good time. There's supposed to be movie cash to see Skull Island included, but I didn't see anything on the boxes specifying this.